It is not uncommon for individuals to seek a second opinion in many different areas of life. One of the main areas where second opinions are often sought is in medical treatment. I recently went through this experience myself after I suffered complications from surgery that became serious. I consulted another doctor who used a new procedure that significantly accelerated my recovery and decreased the likelihood that I would have any future problems or complications due to this medical issue. If I hadn’t sought a second opinion for my condition, I might still be in the hospital and my long-term health and physical capabilities would have been seriously compromised. Los Angeles and Southern California business owners and entrepreneurs should take the same approach when it comes to the health of their businesses. This applies to every area of a company’s day-to-day operations and finances, including cash flow, profitability and productivity. In addition, second (or even third and fourth) opinions should also be sought in the areas of growth, value, efficiency, strategic planning, and succession and exit planning. Getting a second opinion is especially important for small to mid-sized companies with small staffs due to the old adage that “you should spend as much time working on your business as you do working in your business.” In other words, most owners and entrepreneurs spend so much time deep in the weeds of their companies’ daily operations that it’s hard to pull back and see the big picture. Getting input from an objective outsider — or in other words, getting a second opinion — is one of the best ways to plan strategically for the future of your company. The fact is, most owners and CEOs don’t know what they don’t know, no matter how brilliant they might be. Small and mid-sized firms rarely have the financial resources to employ talented executives in different disciplines like operations, finance, sales and marketing, human resources, supply chain/distribution management, and international business, so they don’t have access to these resources internally. Even if the owner/CEO has expertise in one or more of these areas, they usually don’t have time to adequately devote to them (see above about working on the business). The processes of strategic and succession planning require diligent attention and persistence on the part of owners and CEOs. These are just two examples of things owners should be doing to work on their business while also working in their business — as well as being critical processes that benefit from getting second opinions from outside experts. Financial measurement and reporting is another area where second opinions can be valuable for owners and CEOs. Financial reporting systems should report not only basic financial information, but also financial trends (both current and historic) and key metrics that can be used to compare financial results with other similar businesses and prior reporting periods. A robust and timely financial reporting system can also help identify past financial and operational successes and failures to help management understand why those results ensued. This, in turn, will contribute to better decision making going forward. Other financial and operational areas where second opinions can be useful include risk management; cash management; capital structure (i.e., debt and/or equity); capital needs and timing; supply chain/inventory management; product line profitability and pricing strategies; and evaluation of the customer mix. An objective outsider can offer a valuable second opinion in each of these areas, as well as an opinion regarding the adequacy of financial reporting systems. 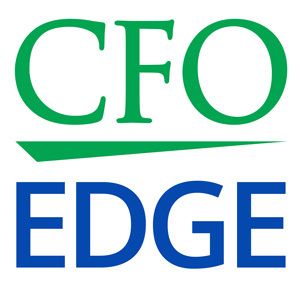 An outsourced CFO services provider can offer a valuable second opinion in many of these areas. However, an outsourced CFO is perhaps best engaged as part of a team of outside experts offering second opinions who complement each other. Such a team can jointly produce a meaningful roadmap to success while also helping implement and monitor changes that are deemed to be necessary in order to keep the company on track. It’s common practice for individuals to seek a second opinion in many different areas of life, such as medical treatment. Business owners and CEOs should take the same approach when it comes to the health of their companies. Getting a second opinion is especially important for small to mid-sized companies because they rarely have the financial resources to employ talented executives in different disciplines. An outsourced CFO can offer a valuable second opinion across a wide range of different company disciplines, either on his or her own or as part of a team of outside experts offering second opinions who complement each other.